Acquisio has had the chance to be part of many amazing stories, but some stand apart from the rest. We’re immensely proud of our long-term sponsorship of the SAS Macogep Acquisio cycling team, helping a group of amazing women showcase their talent all across North America. Currently ranked as the best in Canada and second-best in North America, SAS Macogep Acquisio is an all-female professional cycling team, made up of 9 talented athletes and their coaches. It’s been Acquisio’s sheer pleasure to support the team in their journey to become the nation’s best. Acquisio is no stranger to social causes mixed with physical activity. We participate in the Make-A-Wish Race every summer because we believe in actively giving back to our community. Based out of Montreal, the SAS Macogep Acquisio team has strong roots in our community and every single win for the team is a showcase of the talent that calls Quebec home. And soon the whole world will see how fiercely talented the SAS Macogep Acquisio team truly is. 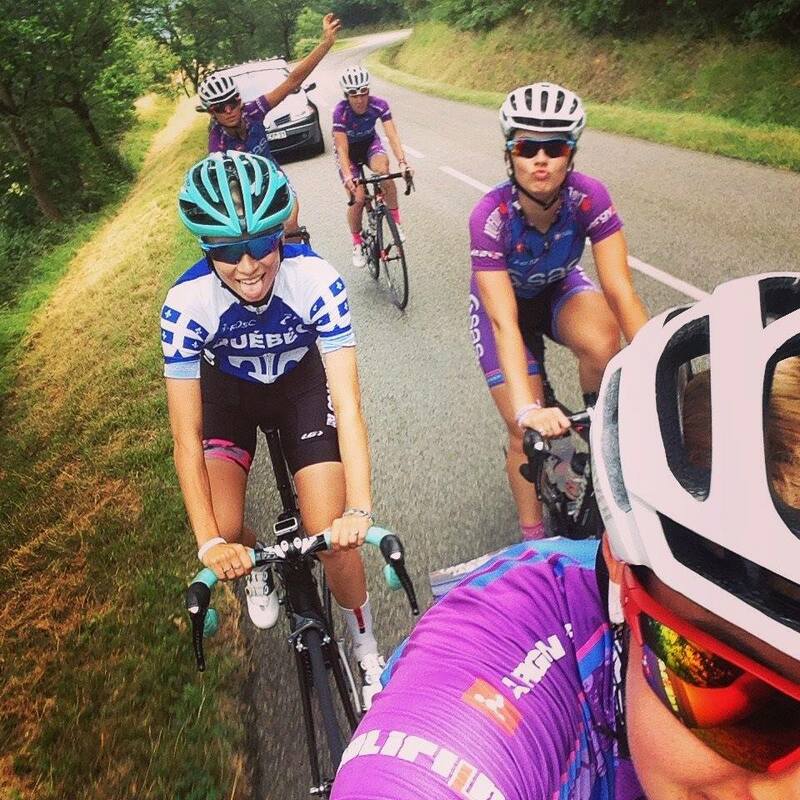 A few weeks ago the team was awarded a Union Cycliste Internationale (UCI) women’s road license, a fairly prestigious distinction in the world of cycling. The UCI license will help cover the team’s costs so they can compete in the Women’s World Tour and World Cup races throughout Europe. SAS Macogep Acquisio is the only women’s team in Canada that has been granted UCI status in 2017. Did we mention how proud we were to help the team get there? Sponsoring the team has been a truly inspiring and educational experience for Acquisio, because we’ve learned a lot from them. Anyone who has participated in team sports or who has trained intensively to achieve a physical or even a mental goal knows the dedication and perseverance necessary for success. As business leaders, we find parallels in these processes and components of success – hard work and determination will get you everywhere. SAS Macogep Acquisio is a team that knows the road to success well and we will continue to gather inspiration from them in the coming years. The team is eager for the chance to prove their mettle in Europe’s most competitive cycling races in 2017 and they’re already setting their next milestone. These talented athletes are aiming to remain a UCI team until 2020 – the next Summer Olympic Games. We are cheering on these 9 talented athletes as they head towards their official season beginning and new levels of success with the Tour de Valencia on March 8th. Good luck ladies, not that you need it!